But in amongst the fun of choosing a gorgeous look it's also important that you choose something practical to suit your lifestyle. Having a well-organized diaper bag is invaluable when your sweet, cooing little one suddenly goes off the deep end in the middle of the mall because he's hungry - some babies really can go from docile to ballistic in a matter of seconds when hunger strikes! 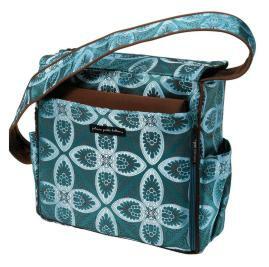 I have to admit, there are so many fab diaper bags on the market by such talented designers that I would never be able to recommend a "best diaper bag" - the decision is just too personal. Storksak, because they're good enough for Angelina Jolie and I reckon after six little ones and the luxury of a limitless budget, she should know the best diaper bag when she sees it! As always, this is just my opinion. Please don't shoot me down if you disagree! You'll love Dimplesanddandelions.com. 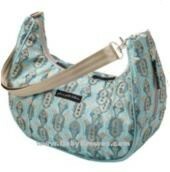 They have a gorgeous selection of the best diaper bags on the market including top brands such as Petunia Pickle Bottom and Storksak. What I love about the Dimples and Dandelions diaper store is that each diaper bag on the catalogue has a really comprehensive description so that you can really see what you're getting. 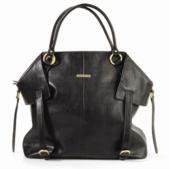 In today's demanding world of motherhood, the best diaper bag has to be fashionable as well as functional. Many women are juggling the strains of motherhood with the demands of a career and laptops need to fit into the same bag as the diapers. Are you juggling office and home? Do you need to fit folders into your bag alongside the wipes? 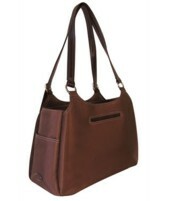 Will you be carrying your bag far? 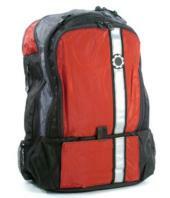 - should you go for a comfortable backpack? 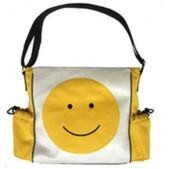 Will hubby be using the bag as well? Something gender neutral? Will you be making overnight trips? You'll need lots of packing space. Ditto for multiple babies. Elasticated bottle pockets - you'll need at least two. Insulated bottle pocket to keep liquid hot or cold. Attached fold out changing pad - great for when you're on the go. Easy access cell phone pouch/pocket. 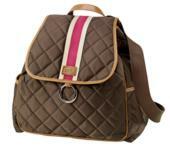 Padded comfort back panel (on backpacks). Inner zip compartment for soiled goodies. Snap closure - easy one hand access. Just decide which elements are most important to you, then start shopping! 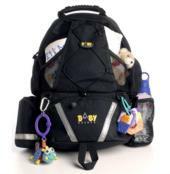 My Top Tip: Keep your diaper bag packed and ready to go at all times. I have one in the back of my stroller and in the back of my car - I just add food! It takes long enough getting out of the house with a newborn without having to think about what to pack in your bag! 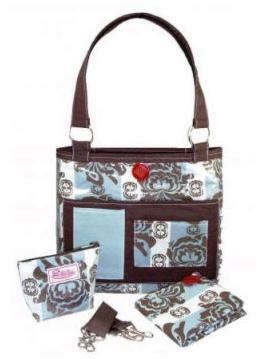 Do you have the answer to the "Which is the best diaper bag?" question? 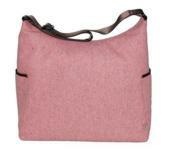 If you have a diaper bag that you really like, write a review and let other moms know why. You will win a prize just for sharing! 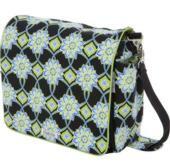 I hope I've given you an exciting sneak peek into the world of diaper bags waiting for you!